We’ve teamed up with the the amazing artist, Kelley James, to giveaway a signed copy of his new album, “The Pattern Transcending.” You can find out how to enter, after the break. Eschewing the traditional path of record labels, James has built his career on the road by playing over 1,000 shows in the past five years, including sold-out shows at the Troubadour, the Roxy, Key Club, and most recently, San Francisco’s Brick & Mortar. As the creator of “The Sorority and Fraternity Tour” he played at colleges nationwide with the help of sponsors like Oakley and Muscle Milk. James has shared the stage with national acts such as LMFAO, Sara Bareilles, Mike Posner, Joshua Radin and Kate Voegele, and joined O.A.R. for a full-length tour. In between his busy touring schedule, Kelley maintains a monthly residency at the W Scottsdale’s Living Room Live in the city’s old town buzzing nightlife district. As an avid surfer with a passion for sports, James has close ties to the athletic community as well. He is a close friend of San Francisco Giants pitcher Barry Zito and the two frequently join forces to raise funds for Zito’s charity organization Strikeouts For Troops. 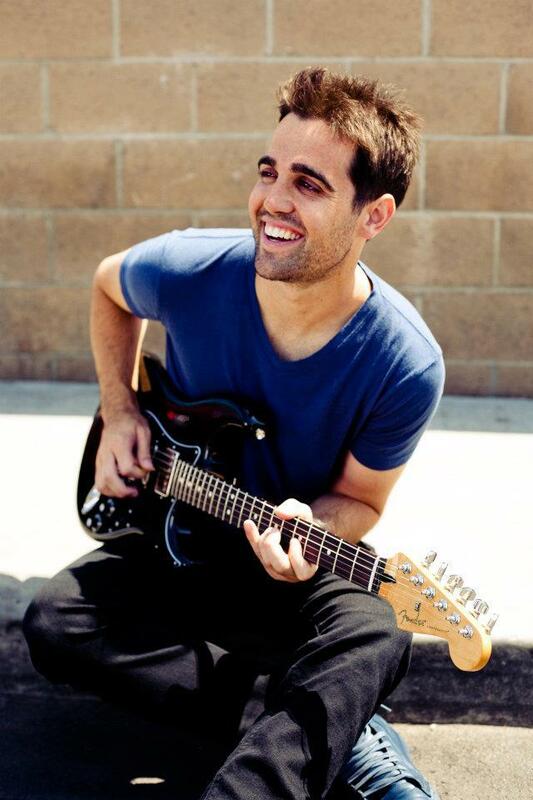 Zito is an accomplished musician and has co-written songs with James and they have performed live together. James has also been joined on stage by professional surfer Kelly Slater, PGA golfer Rickie Fowler, and MotoGP champion Nicky Hayden. He is a regular performer at PGA Tour events including the Birds Nest at the WM Phoenix Open, Farmer’s Insurance Rock Ball in San Diego, HP Byron Nelson Pavilion After Dark in Dallas, The NetJets Masters party in Augusta and many more. James has attracted a number of high-profile corporate partners including Corona, DC Shoes, Honda, Muscle Milk, Oakley, Red Bull and Ethika, and has performed at events hosted by Columbia, Ducati, Google, MySpace Music, the Phoenix Suns, the Ryan Sheckler Foundation, Aflac Insurance, SPIN Magazine, Strikeouts For Troops, Ronald McDonald House, and Zumiez. To enter for a chance to win the signed CD, just use the widget at the bottom of the page! Keep up with Kelley James on Facebook and Twitter!